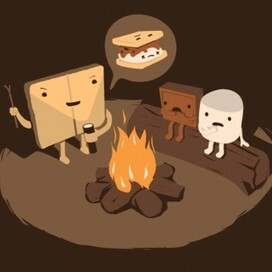 Stefanie is using Smore newsletters to spread the word online. In the speech “BTN (Nov.5), V argues that people need to think about themselves. V points out a problem saying “… I destroyed the Old Bailey, to remind this country of what it has forgotten,” (4), he blames the people for forgetting fifth of November. V’s purpose is to change society, to show them that the government is not the ones who want to change it to a greater society. V’s audience is to the society and to England because he opens and closes the speech by addressing the people of England and advises people to act because there is something wrong with this country, V’s tone changes throughout the speech from calm at the beginning to serious, accusing, and then finally inspiring. 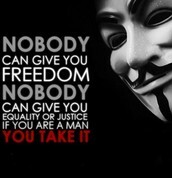 "Nobody can give you freedom nobody can give you equality or justice if you are a man you take it." 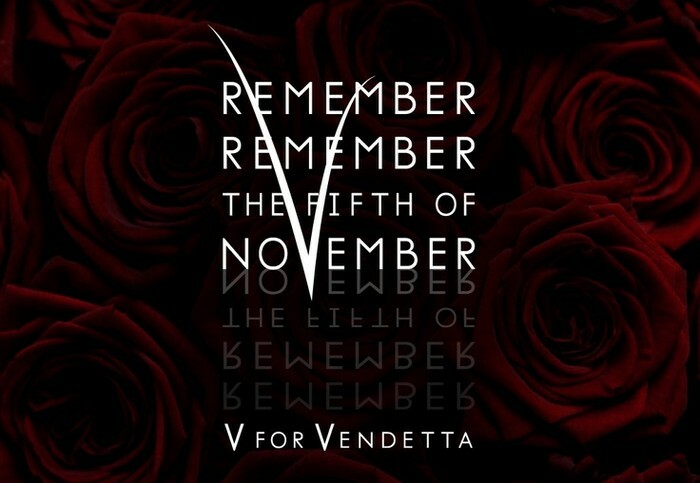 "Remember Remember the Fifth of November." 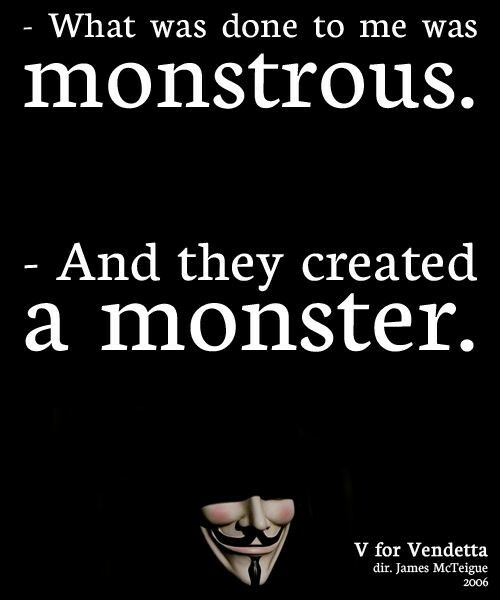 "-What was done to me was monstrous. 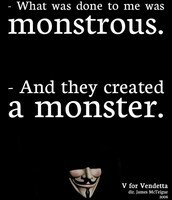 - And they created a monster."